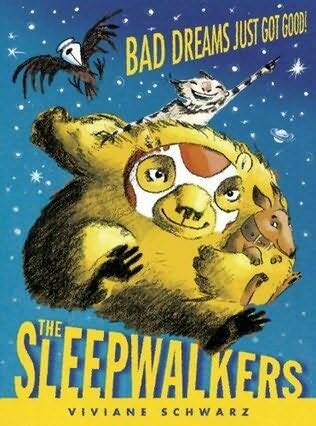 Nightmares are turned around with the help of The Sleepwalkers, a dreamlike graphic-novel adventure by Vivane Schwarz. When you are afraid to fall asleep, when all your dreams are nightmares, write us a letter, put it under your pillow, we will rescue you...It is almost time for the old and tired Sleepwalkers to return to the waking world. But before they go, they must conjure and train three new replacements. Who else will look after the Sleepwalking House and be there to answer the call of a child frozen with fear, trapped in a nightmare? Faced with a series of cliff-hanging dream predicaments, the three brave new heroes tackle the weird and the wild in this tale about pulling together as a team and having the confidence to stand up to your fears. 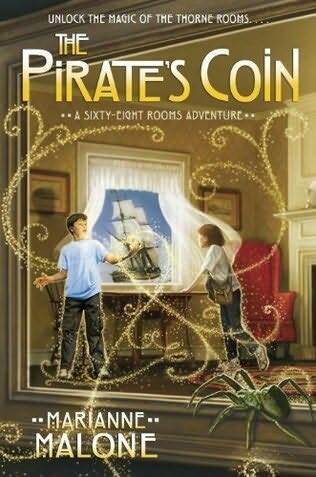 Fans of magic, mystery, and adventure will love the third The Sixty-Eight Rooms Adventure—a perfect next step for kids who love the Magic Tree House series, and just right for readers who love Chasing Vermeer, The Mixed-Up Files of Mrs. Basil E. Frankweiler, and Wonderstruck. Sixth Graders Ruthie and Jack return to the Art Institute of Chicago's magical Thorne Rooms. During a school presentation, Ruthie and Jack discover that their classmate Kendra is descended from Phoebe Monroe, the young slave they befriended when they traveled to 19th-century South Carolina. Kendra tells them that long ago her family lost their good name and their business selling herbal remedies when mobsters accused them of stealing the recipes! Only Ruthie and Jack know the truth--because only they know about the secret ledger that Phoebe wrote the recipes in long ago! Ruthie and Jack's mission to clear Kendra's name takes them back to the Thorne Rooms, where a mysterious old coin leads them to 1753 Cape Cod and to Jack's own ancestor . 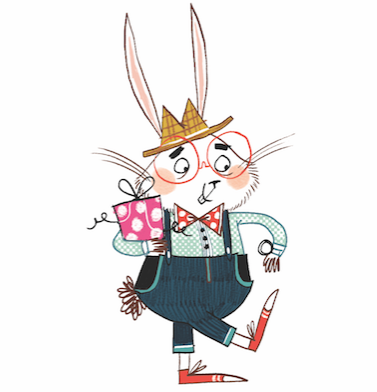 . . the pirate Jack Norfleet! But playing with history can be dangerous! Suddenly, Jack's very existence is in jeopardy! Can Ruthie and Jack find the proof they need to help Kendra? And can they fix the past and save Jack's future . . . before it's too late? In this sequel to The Cabinet of Earths, twelve-year-old Maya is feeling more at home in Paris, a city filled with old magic. Her little brother, James, is safe, and the terrible man with purple eyes is gone. At least Maya believed he was until a person-sized column of dust and leaves with hints of purple where its eyes should be begins following her. 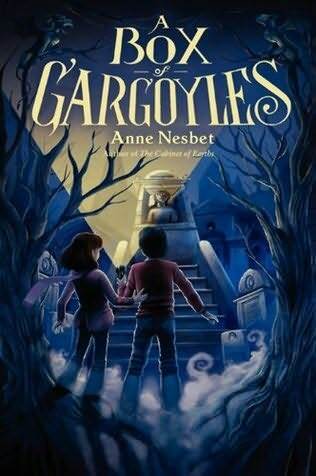 Maya suspects the strange, shadowy column is what’s left of the purple-eyed man, and that it—he—is behind the eerie changes in Paris, including the appearance of flying, talking stone gargoyles. She’s right. Worse, he has bound Maya to make him whole again, even if it kills her. 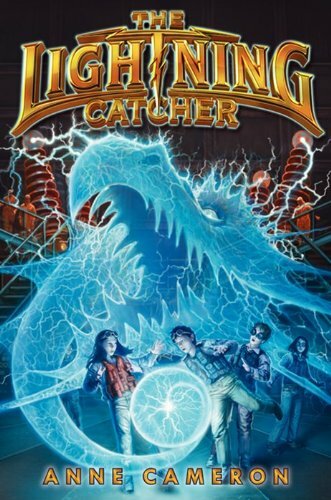 The Lightning Catcher, the first in a funny four-book fantasy / adventure series by Anne Cameron, is a must-read for middle-grade fans of The Underland Chronicles series and the Savvy books. Any kid who has dreamed of having magical powers will want to follow the thrilling story of eleven-year-old Angus, an ordinary boy who discovers he is a Storm Prophet. That means Angus can predict and control extreme weather! While learning about his powers at the Perilous Exploratorium for Weather and Vicious Storms on the island of Imbur, Angus finds out his parents are also far from ordinary. His mom and dad are Lightening Catchers—and they’ve been kidnapped.